ArmInfo. "The Chamber of Accountants and Auditors of Armenia" will ensure the timely transition of international legal standards in the field of accounting and financial reporting and International Financial Reporting Standards (IFRS). At present, Armenia is hopelessly behind the world development. Arthur Harutyunyan, deputy chairman of the Association of Accountants and Auditors of Armenia (ABAA), director of CJSC "AN-Audit" told journalists on March 5 at the margins of a working conference on "Improving the quality of auditing by ensuring quality control of auditing activities". According to him, the International Financial Reporting Standards (IFRS) of January 1, 2013 are currently in effect in Armenia. Meanwhile, the legislator requires banks and other lending institutions to apply international standards, regardless of the availability of their transfer. The rest - after their official translation, publication and expiration of 6 months - from January 1 next year. Thus, formally Armenian companies are obliged to apply the standards from 2013, which means that Armenia is not responding in a timely manner to the dynamics of the global financial market. 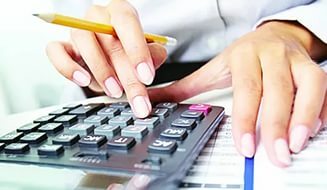 In addition, according to the expert, an important innovation of the new law "On Accounting" and "On Auditing" is the requirement for continued professional development of the licensed auditor. The current legislative regulation from the licensed auditor requires keeping their own qualifications at a high level - to participate in professional development activities for at least 40 hours per year. If the auditor misses the courses within one year, he has the right to fill the gap within the next year - already in the amount of 80 hours. However, even without expressing a desire to fill in the pass, the auditor can lose only membership in the Association. At the same time, he has the right to continue his audit work. Currently, as explained by Harutyunyan, on the basis of the ABAA qualification, the RA Ministry of Finance provides an auditor's license without an examination. At the same time, there is no imperative to become a member of the Association, thus, ABAA does not have the tools to track whether the auditor has passed the courses of professional development that are due to him. As a result of legislative changes, the requirement will become imperative - the law will oblige the acting auditor to be a member of the Chamber, which will monitor compliance with the norms. Otherwise, the Chamber will suspend the membership of the auditor as a business.